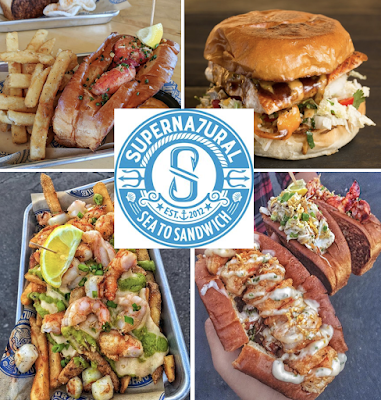 SuperNatural Sandwiches, San Diego's popular destination for creative seafood sandwiches, is readying for a big expansion in 2018, with plans in place for new outposts in Tijuana, Orange County and Little Italy! 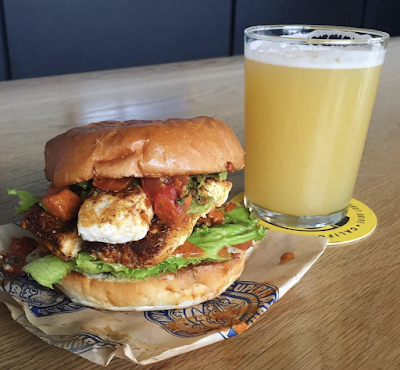 Beginning in 2012, the "sea to sandwich" approach has taken SuperNatural Sandwiches from a hot commodity at local farmer's markets to its own brick-and-mortar eatery in Miramar which has been packing the house since opening in 2014. 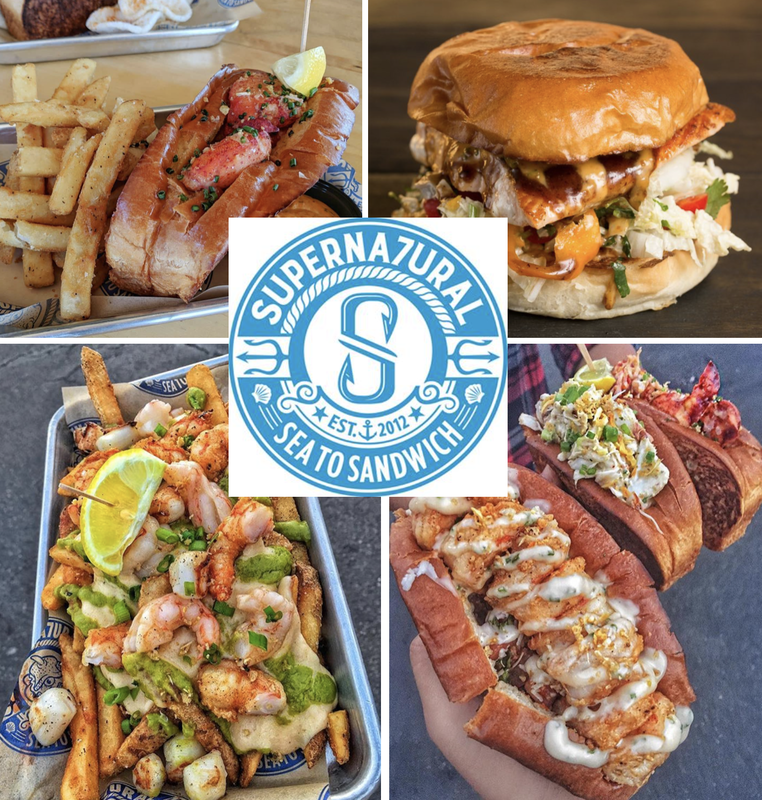 The brainchild of Tony Nguyen, SuperNatural has been using fresh seafood and ingredients from local vendors to create a lineup of made-to-order, gourmet concoctions that have caused the restaurant to quickly gain a reputation for offering some of the most delicious sandwiches in town. Soon, access to these bad boys will be easier than ever for residents of SoCal and Baja California Norte. 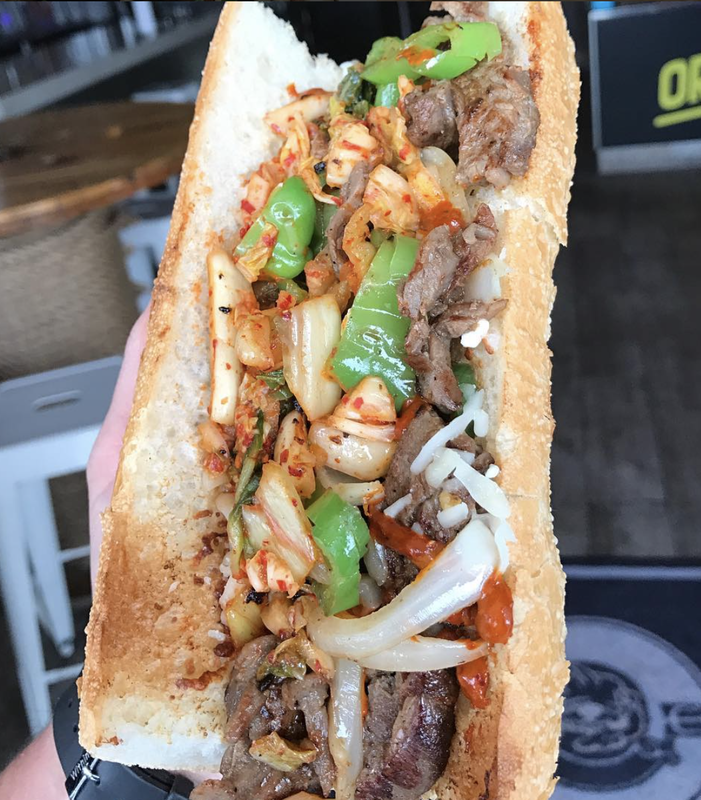 Business partners Tony Nguyen and Anthony Tran will expand SuperNatural Sandwiches into California's Orange County with the opening of a stall within the 4th Street Market food hall in downtown Santa Ana. With Nguyen recently relocating to Orange County, the OC expansion is a logical move for the aspiring fast-casual concept. SuperNatural Sandwiches should be up and running in Santa Ana by early-to-mid February 2018. "Tony lives in OC now, so he has seen enough that he knows that SuperNatural's concept would be a great fit for the Santa Ana area," commented Tran. "People are crazy about food up there and patrons of our Miramar location from OC have asked for it. It's a short-term lease for now but we hope that it's a means of getting our brand into Orange County for the long haul." Once the OC branch is up and running, the SuperNatural team will turn its attention to Tijuana, where the company will install Supernatural Cocina at the incoming Telefonica Gastropark Hiprodomo, a second outpost of the food stall wonderland opening early this year on Aqua Caliente, across the street from Caliente Casino and the soccer stadium. In addition to the eatery's core sandwiches, the "SuperNatural 7," the TJ location will also offer frequent specials, including collaborations and sandwiches that use local Mexican ingredients, breads and cheeses. SuperNatural Cocina hopes to be dishing out in Tijuana by late February. SuperNatural is also in the process of signing a lease for its second San Diego store, which will head into the new AV8 Building of luxury apartments being constructed at 2155 Kettner Boulevard in Little Italy. SuperNatural Sandwiches will open on the ground floor within a 1,463 square-foot retail space by Summer 2018, offering a more focused menu with the addition of a section dedicated wholly to salads and new sandwich creations. The SuperNatural team has been working with Chef Gustavo Camacho of Tijuana's Miso Poke for items that meld Mexican and Asian flavors. 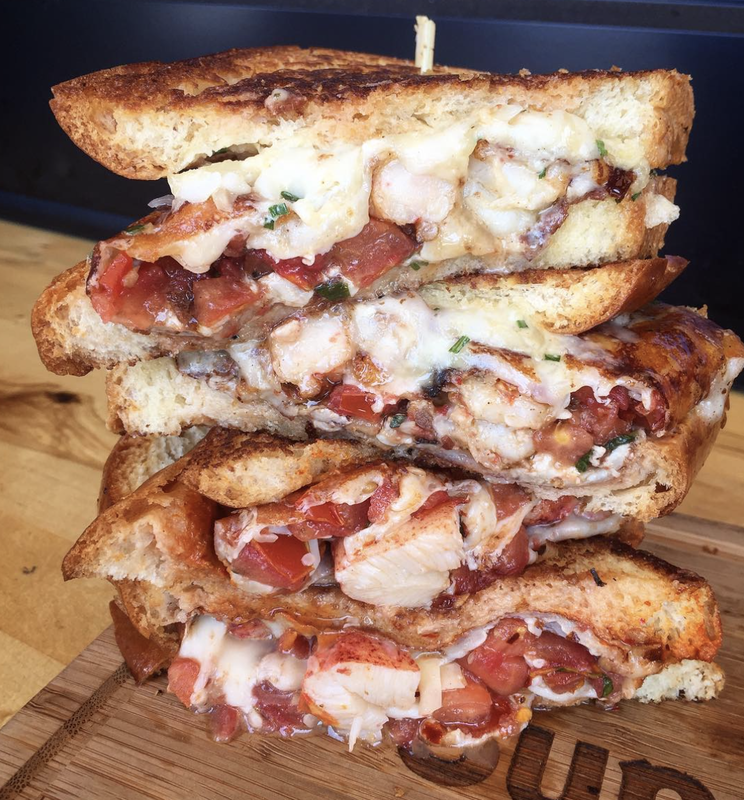 Expect new items to soon be introduced at all locations, like a clam sandwich (version of Po' Boy), an octopus sandwich, a fish ball bahn mi, a patty melt made with a shrimp burger, and all sorts of lobster rolls, including Asian-inspired versions with salt and pepper lobster and another with XO cognac-based sauce-drenched lobster. The eatery will also unveil a lineup of teas and other soft drinks for Little Italy in collaboration with Bobalicious/Square Bar. Little Italy will also offer a menu of beer and wine (which will also be unveiling at their Miramar location by March 2018). SuperNatural hopes to continue its expansion and aims to open in North County San Diego by year's end. Head to the original SuperNatural Sandwiches at 7094 Miramar Road to get a taste of the delicious offerings before the concept expands later this year. For more information, visit SuperNatural online at supernaturalsandwiches.com and follow on Facebook.